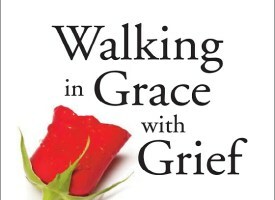 Walking in Grace with Grief – an excerpt. I believe we all have the ability to communicate with our deceased loved ones. Some of us are born with very clear communication channels, while others like me go to school to re-learn, to awaken…a skill base… This skill was of immense help to me in the weeks and months following Rick’s death”. 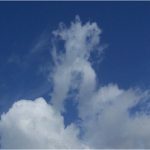 As spirits having a human experience – how can we walk the talk, even in grief? As a metaphysical author, teacher and healer, Della found herself – as all of us may – in an acute place of pain and loss when her son died suddenly. This book is a journal of her time moving through the stages of grief – yet also a teaching and learning experience for readers who may be processing their own losses and wondering how to apply what has been learned on the spiritual journey to their own personal experiences of grief and loss. The story is healing in of itself. There are also several excellent meditations to help with the physical, emotional, mental and spiritual aspects of grief, helping to release energy from the body, mind and connect with the soul even in the deepest, heaviest moments of grieving. The book contains 8 healing meditations to help with the grieving process. The meditations are an interesting combination of creative visualization and energy work. I particularly like the Golden Sun and Blowing Up a Rose meditations. These two meditations in particular I believe would be just as applicable in any grieving situation, from hurt feelings through to divorce or any kind of loss. 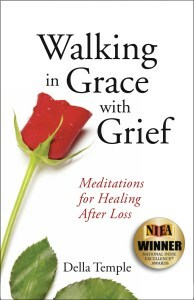 Walking in Grace with Grief: Meditations for Healing After Loss also contains some helpful accounts of spirit to spirit communication after a Loved One has passed. For those of us who have experienced this, or at the very least believe it may happen, they are comforting accounts and also give the reader information and ideas about how to help themselves heal when in this situation too. Sometimes we forget that the holiday season can also be a time of grieving for many. As Della writes, ‘so many firsts’. The first Thanksgiving, the first Christmas, the first birthday after the loss of a Loved One can be so bittersweet and tough to move through. The meditations and writings will help many of us understand the journey of grief better and give us ideas for how to apply our own spiritual knowledge and awareness as we move through this painful and intensely human time. This book melds the worlds of the physical and the metaphysical. Della is an author, a teacher and a healer. She shares her extraordinary journey of Walking in Grace with Grief in the hopes of broadening the discussion about death and life after life. She shares with the reader thoughts on how to lessen their pain as they walk their path. 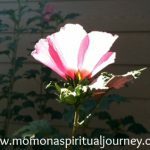 Through the healing meditations and energy tools explained throughout the book, the reader will connect with the joy and grace that exists beneath the sorrow and pain.